President Mamnoon Hussain has hailed the narrative and decree against terrorism and extremism by renowned Muftis and religious scholars of all schools of thought in which it was unanimously declared that suicide attacks, armed insurgency against the state and the use of force in the name of enforcing Shariah was ‘Haram’ or forbidden in Islam. The decree, and communiqué signed by 31 famous religious scholars were presented at the concluding ceremony (which was chaired by President, Mamnoon Hussain) of a seminar on “Reconstruction of Pakistani society in the light of Madina Charter” and announcement of ‘Paigham-e-Pakistan’ (Message of Pakistan), organized by Islamic Research Institute (IRI) of the International Islamic University, Islamabad (IIUI) at Faisal Masjid campus. In the decree, scholars appreciated the armed forces for efforts against the enemies of nation and supported the operation s initiated by the military leaderships against the evil elements. They also rejected the use of religion for self projection. The seminar participant including Muslim scholars, experts, researchers and intellectuals agreed on 22-point communiqué in pursuit of a national narrative to address the challenges being faced by Pakistan. It was agreed in the communiqué that universities are meant to teaching and nurturing of youths and have nothing to do with hatred, militancy, violence and extremism. 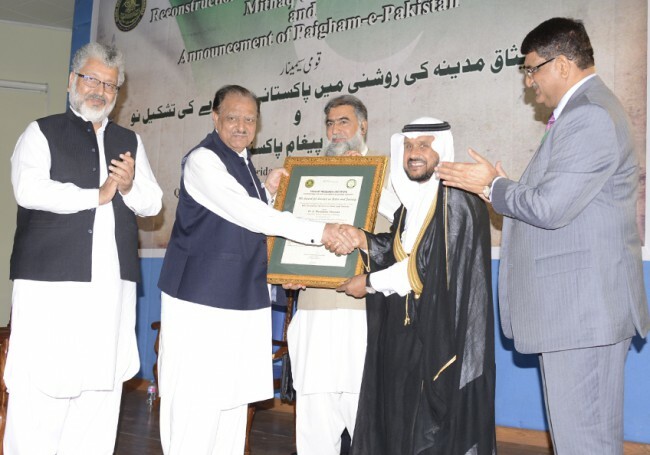 It called for administrative steps and intellectual efforts against the extremism and violence. It was agreed that universities would discourage negative mindset and any sort of activity related to extremism should not be tolerated. 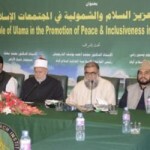 The participants agreed that no organization or sect would be allowed to incite hatred or violence against the other. 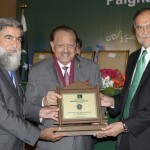 In his address, President Mamnoon said that political instability and imbalanced economic policies and contemporary challenges have caused intolerance, racism, sectarianism and extremism in the societies which can be countered through a well devised narrative, an agreed strategy and with positive role of Ulema. He called for provision of equal opportunities to the youths and termed the youths as a precious asset of nation. 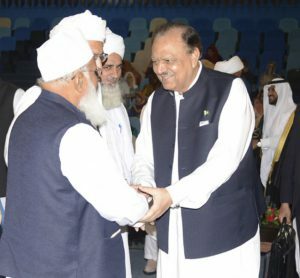 President Mamnoon Hussain stressed the need for reviving the spirit and principles embodied in the Charter of Madina for a welfare state. The Presid ent said the Madina Charter laid down universal principles of justice and equality for all mankind. He said state is the pivot around which revolve the aspirations of people. Mamnoon Hussain said it was this aspiration and the light of those guiding principles for welfare state in the Madina Charter that led to successful culmination of struggle for Pakistan. He said Quaid-e-Azam Muhammad Ali Jinnah and Allama Iqbal followed the very principles as were propounded by the Holy Prophet (PBUH). Mamnoon Hussain said the secret behind our future development and prosperity lies in practicing these principles. The seminar was also addressed by Chairman, Higher Education Commission , Dr. Mukhtar Ahmed who opined that extremism, lack of attitude of co-existence and lack of capacity building measures for youths were the leading challenges of hour. He added that universities have started to play role in the Pakistan society as numbers of PhDs have commenced to increase and inductions of students on campuses have doubled. 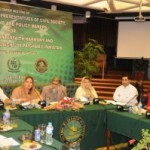 He said that such seminars are pr-requisite to build a narrative against extremism. 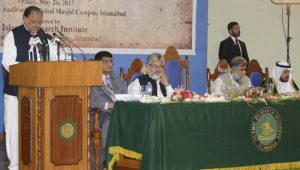 Dr. Masoonm Yasin zai, Rector IIUI presented the communiqué of the seminar and said that the participants have agreed that practical steps against killings, brutalities, terrorism, militancy and hatred be taken. 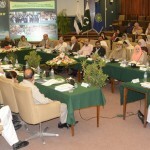 He hoped that the narrative achieved by the seminar would help in reconstruction of Pakistani society. 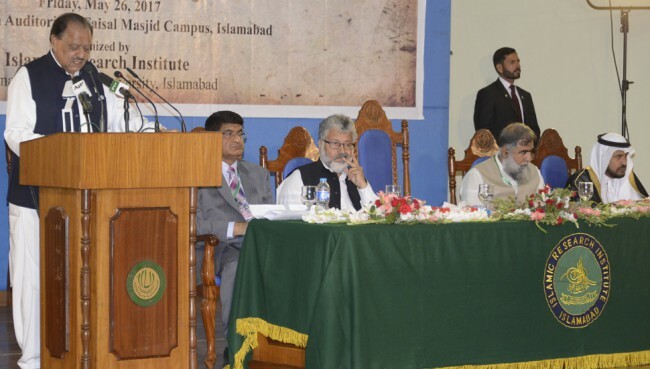 President, Dr. Ahm ed Yousif Al-Draiweesh said that IIUI was committed to build Pakistani society on the lines of the society built by PBUH in madinah. 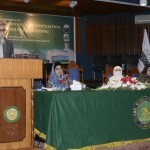 He maintained that university was keen to disseminate brotherhood, peaceful coexistence, through seminar, moots and dialogue sessions and this seminar was a part of an effort to build a counter narrative against extremism as per directions of President of Pakistan and Chancellor of the university. Later, The IRI council conferred an award upon Mamnoon Hussain in recognition of his political and social services, the IRI council hailed his untiring efforts for the betterment of society. The seminar was also attended by Mufti Muneeb ur Rehman, Mufti Rafi Usmani, Maulana Hanif Jalandhari, Mufti Muhammad Naeem, Maulana Abdul Razzak Sikandar, Allama Riaz Hussain Najafi, Maulana Muhammad Yasin Zafar, Maulana Ghulam Muhammad Sialvi, Maulana Zahid Mahmood Qasmi Mufti Mahmoodul Hassan Mahmood, Maulana Hamidul Haq Haqqani and others.